ETTVd is deprecated and not developed or supported anymore. 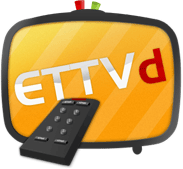 ETTVd is a control daemon for ETTV servers and manages your live broadcasts, demos and and replays. It's completely written in PHP. note: ETTVd is not developed or supported by the ETTV/ETPro team. Questions or comments should be directed to the ETTVd authors. This page was last modified on 6 July 2011, at 12:27.